In recent years, there has been an explosion in crowdfunding for bands and musicians. Billions of pounds are now raised each year and a significant proportion is raised by musicians. So the question is, how can more artists start tapping into people’s enthusiasm to fund artistic projects? The following guide has been written with the help of bands and musicians who have done just that. This has been designed to answer many of the common questions surrounding crowdfunding to help you launch a successful campaign. Insure4Music is trusted by thousands of musicians to keep their livelihoods on track when misfortune strikes. They rely on us to protect them from public liability claims and protect their equipment from theft, loss and damage, and much more. Our music insurance policyholders and newsletter subscribers speak to us regularly, so we thought we’d compile their insights and those from the wider industry into this handy guide for up-and-coming artists. The internet has turned the music industry on its head. Making money through music sales alone now is much harder, but the internet has had lots of positive effects on the industry too. One of those is crowdfunding. Crowdfunding is the practice of funding a project or venture by raising small amounts of money from a large number of people. 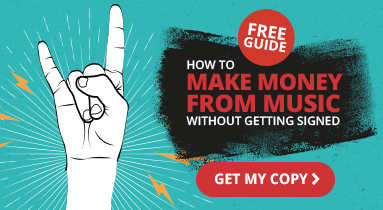 For musicians, it’s an opportunity to raise money via your fans, often bypassing more traditional ways of producing and publishing physical EPs and albums. 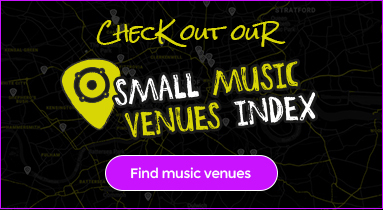 It offers those who are unsigned or on small labels a viable way of getting their music out there in whatever form they wish. Crowdfunding has become an established and socially acceptable way for many artists to finance their music projects. As most pledge sites do not take payments from contributors until a project has achieved their target amount, it’s seen as a ‘risk free’ way for fans to support artists and bands they like in return for getting something they value. This often consists of early access to new music, a ‘money can’t buy’ experience with the band, public recognition or exclusive merchandise. Kickstarter reports that music projects have one of the highest success rates of any category, with just over 50% raising at least their target amount. Only comics, theatre and dance projects have a higher success rate in terms of achieving their goals. However, this still means that nearly half of music projects fail to reach their target. No crowdfunding project has a 100% guarantee of success, but plenty of acts are willing to share their advice on how best to succeed. Here is the advice of some UK bands who have reached and exceeded their crowdfunding goals, covering why they chose to crowdfund and what they learnt from it. 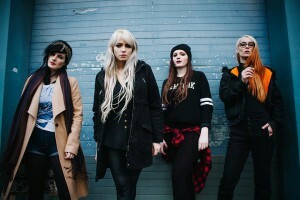 The Courtesans are a London-based 4-piece all-girl rock band who have successfully crowdfunded several projects between 2013 and 2016. There are now dozens of online crowdfunding platforms, so once you’ve decided to take the plunge, how do you know which one to choose? Are they all the same? Is it always best to go for the better-known platforms? There are two main kinds of crowdfunding campaigns: keep-it-all and all-or-nothing. With keep-it-all, if you fail to reach your fundraising target you still get to keep any money you did raise. All-or-nothing means failure to meet your target sees the money returned to your backers. Success rates vary amongst these two kinds of campaigns, so it’s important to weigh up the pros and cons. Research from the University of Colorado found that 34% of the all-or-nothing campaigns in its sample successfully reached their target, versus 17% for keep-it-all campaigns. All-or-nothing campaigns also gathered more backers: 189 was the overall average, 43 the median or most common amount. Keep-it-all saw 76 backers on average, or a median of 33. Their first crowdfunding project wasn’t all plain sailing. Dekker said that Kickstarter didn’t accept PayPal, which was hard for some of Rue Royale’s backers. This isn’t the only payment complaint about this particular online platform either. Some UK users said that making a pledge to a Kickstarter project via credit or debit card flagged up a fraud alert with their bank, causing their card to be frozen until they spoke to their bank to resolve the issue. The multi-disciplinary Kickstarter platform worked well for Rue Royale, especially because they had a fan base on both sides of the Atlantic. 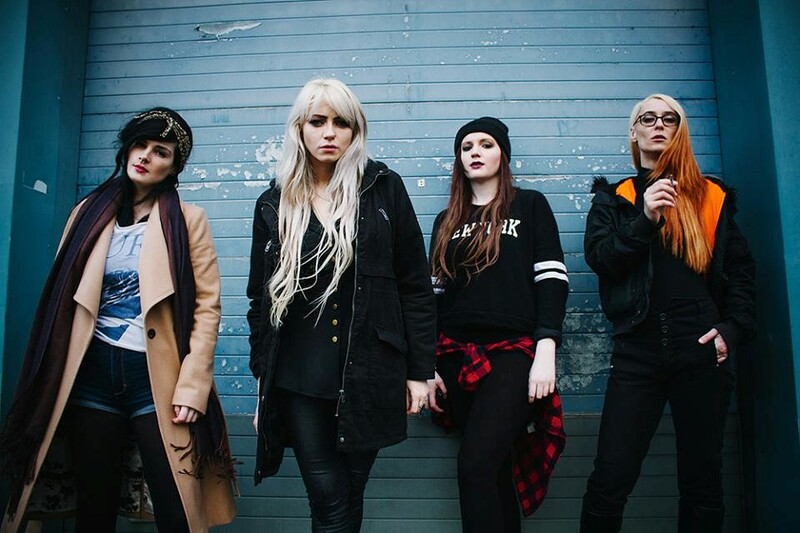 For other UK-based artists, however, a music-only platform like PledgeMusic is an option – The Courtesans’ platform of choice. The platforms that have been used by Rue Royale and The Courtesans are both popular with UK musicians, but there are many other options available, including IndieGoGo and Crowdfunder.co.uk. Choosing the target amount for your crowdfunding project isn’t as simple as knowing how much your studio or production time will cost. All platforms charge a percentage fee of the funded amount to host your project on their site, but often this isn’t the only cost you need to consider. There are payment processing fees, usually for each individual pledge or backer you attract, plus various tax implications, meaning that the total amount you will need to raise must take all of these into account, or you could end up having a successful project but still not be able to afford to do what you intended with the money. Each platform has their own pricing model, so checking the terms and conditions before choosing which one to use is vital. We’ve summed up the fees associated with some of the main players in the UK crowdfunding scene, which are correct as of the time of writing (May 2016). Kickstarter charge a fairly standard 5% levy on the successfully funded amount, but also a ‘payment processing fee’ on both the total amount (3-5%) and on each individual pledge (£0.20 per pledge or £0.05 if the pledge is under the value of £10). This pricing structure is fairly normal for crowdfunding platforms but means it can be difficult for bands to work out how much they actually need to raise in order to take these fees into account before they launch the project. PledgeMusic charge a heftier 15% fee from the successfully pledged amount, but this includes payment processing and there are no additional fees, making it easier for musicians to calculate how much they need to raise to achieve their goals when setting the project target. IndieGoGo also take 5% of the total raised and again there are payment processing fees of between 3%-5%. Plus, in some cases, they charge a £0.30 fee per pledge depending on which country the pledger’s bank is in. This rather confusing policy makes working out how much you actually need to raise quite complicated. Crowdfunder.co.uk will take 5% + VAT, plus the dreaded payment processing fees from PayPal or various credit cards, which are usually 3-5% on top. There are usually no direct fees associated with the rewards you offer, apart from what they cost you to produce and send out to your backers. If you’re offering rewards such as early digital downloads then this will keep costs down, but anything physical which needs sending via the post or a courier will have a cost and potentially significant admin time attached. The Courtesans, despite being seasoned crowd funders, still find it difficult to make the finances stack up and keep things fresh for their fans. Toshman says that the biggest challenge for their last project was working out a target that was realistic but sufficient to fund their goal, whilst also coming up with some unique rewards. Some bands like to offer ‘money-can’t-buy’ rewards as higher value options, such as house gigs or personal appearances. Whilst this is sometimes a great way to get a larger chunk of the total raised in one go, it means there are travel costs and other logistics to take into account so that the band or musician doesn’t end up out of pocket. Doing your sums before committing to specific types of rewards is vital. Under current UK law, any money pledged to a reward-based crowdfunding project is subject to the usual business taxes from the time that the money is paid, regardless of when it was initially pledged. Assuming that the band or musician is already set up as a limited company or a sole trader, this will just be a matter of adding in the pledged money as ‘sales’ via the normal self-assessment or accounting route. The money raised using a crowdfunding project is generally then used to produce new music or videos and finance the fulfilment of the rewards, which is generally a business expense (and thus not taxable income). However, the money does all need to be documented coming in and going out, with receipts kept for expenses. If your relevant income (before tax or expenses) is likely to be more than £83,000 per year, including your crowdfunding total, then you might also need to register for and factor in VAT. You can find out more about your legal and financial responsibilities as a self-employed musician or limited company on the HMRC website. It’s something that Rue Royale also found to be a real bonus and an eye opener too. If possible, create a short video to accompany your project. Use it to quickly tell an aspect of your story, such as how you or the band has got to this point through visuals (use old band photos, hand-drawn album covers, etc.). Have some of your music playing in the background and explain what the money will be spent on. It’s also important to keep it short and sweet. We live in an age of short attention spans, so the whole video should ideally be under 90 seconds in length to stand the best chance of it being played right through. Make sure that you have a range of rewards to cater for all kinds of budgets and be as creative as you can at the higher end of the scale. Don’t fall into the trap of making your lower-value rewards too time-consuming or complicated for you to fulfil within the timescales you have set – you’ll regret that later. Limited edition products usually do well, in addition to the ‘money can’t buy’ ideas such as a backer getting the chance to name a song on the album, or the chance to visit the studio or for the band/artist to make personal appearances. Having too many rewards can also clutter up the project page, so keep it simple. Those running successful projects don’t just create a page, stick a video on it and that’s that. They update regularly with video messages and news about the project so that their backers stay interested and can track the progress. Backers might even upgrade their pledge to a higher value reward as a result. 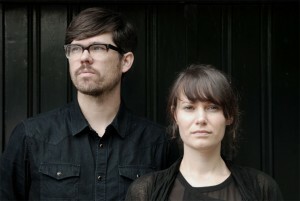 Some bands also send their backers a track part-way through the project to reward their loyalty. This is a great way to help keep the campaign momentum and encourage new backers so they can get access to the new tune. It can be tricky to get the balance right between getting the word out about your project and annoying people with constant updates. Don’t annoy your followers with too many updates. Only around half of music projects actually raise their total target amount and successfully get all of the funding they set out to achieve, but both Rue Royale and The Courtesans are happy to recommend it to others. That said, it’s not an easy undertaking. Crowdfunding can certainly be a great way to help finance your next EP or album if you don’t have the monetary support from a large label behind you. It shouldn’t be undertaken on a whim, though. Building a robust campaign project to successfully meet your target is a difficult undertaking and even once the money lands in your bank account, it’s only really the beginning. With rewards to fulfil, music to be recorded, mixed and made ready for public consumption, the road can be a long one. As well as project updates, gig bookings, rehearsing, taking care of and insuring your musical instruments, and more, bands who crowdfund also have a responsibility to their fans to produce high-quality music within the promised timescales once their project has been funded. For bands like The Courtesans and Rue Royale, crowdfunding enables them to produce the music they want, without compromise, in a manner that they might not be able to without this type of financial backing. It gives fans a way of ‘buying in’ to the band’s music, giving a sense of ownership and rewarding them for their contributions and support. The crowdfunding marketplace is getting more and more crowded, but for talented musicians and artists with an existing fan base, it can be a viable option in order for them to make that next step up.